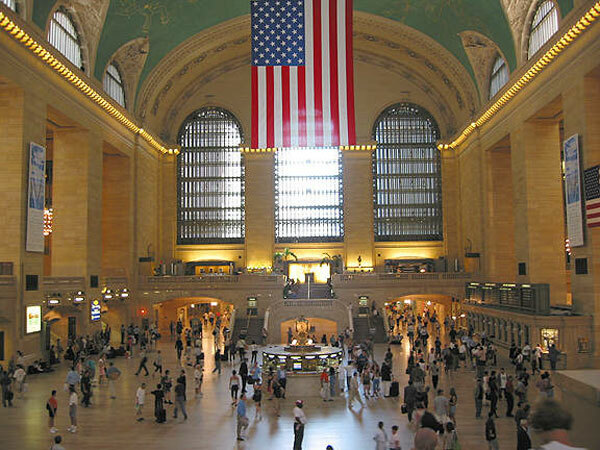 Apple to open an Apple Store in Grand Central Terminal? The New York Observer is reporting that Apple is considering putting an Apple Store inside the iconic New York Grand Central Terminal. Reliable sources tell The Observer that the maker of ubiquitous iGadgets—from computers to cell phones—hopes to open a store in the transportation and retail hub, though it has yet to begin the long approval process necessary for opening in a city landmark. For its part, MTA Real Estate/ Retail+Leasing division, which will have the final word on any new store, offered this careful response: “We select tenants through a public process that features a formal request for proposals,” said Aaron Donovan, a spokesman for the MTA. “We don’t comment on prospective tenants outside of the process. Robert K. Futterman, which handled Apple’s first three New York spaces, declined to comment. The main concourse, shown below, would seem to offer the up-scale type of setting that Apple is after and the stores within its corridors are already filled with commuter foot traffic. Need a new iPhone headset for the train ride home? Booya! The riddle remains: Where can you put a phalanx of high-tech gadgets and hundreds of techies and tourists alike in historic Grand Central? Banana Republic and Kenneth Cole, which have stores fronting 42nd Street, have leases expiring, according to one broker, but the store is not expected to take those spaces. Instead, it sounds like the company plans to put its high-tech shrine right in the terminal.